I know, I got rolling with the blog and then drifted off. I didn’t mean to, but I was in the middle of finishing up a contract for some radio-drama’s and needed to focus on those. While I was working though, I was able to watch a few flicks. One of those was the 2017 sci-fi entry Blade Runner 2049. 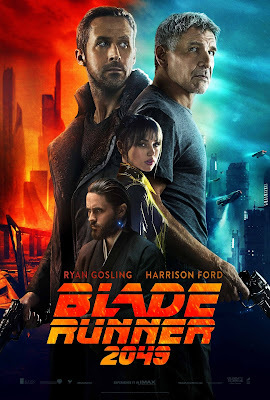 Plot/ A young blade runner's discovery of a long-buried secret leads him to track down former blade runner Rick Deckard, who's been missing for thirty years. Low budget Sci-Fi movies are often hard to judge by their cases, and this one we exception. Full of the typical schlock expected in the genre, this one does feature some interesting aspects. What is it? It is the 1967 Sci-Fi flick They Came from Beyond Space. Plot/ Scientists investigating an unusual meteor shower in a rural field are possessed by an alien force bent on an ulterior purpose. Okay, so I had to take a few days away with the Halloween Parade and finishing my final script for the radio-drama that I had been contracted to do. Although I was busy, I did have some time to get some movie viewing in. 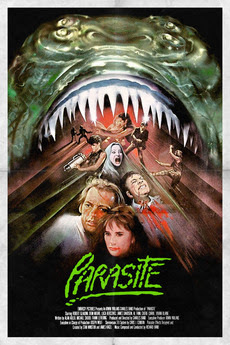 Next up on the docket is the 1982 schlockfest Parasite. Plot/ Paul Dean has created a deadly parasite that is now attached to his stomach. He and his female companion, Patricia Welles, must find a way to destroy it while also trying to avoid Ricus, his rednecks, and an evil government Merchant. After spending the day Saturday attempting to get some work done and failing miserably, I decided that I wanted to dive into some of the works of H.P. Lovecraft. 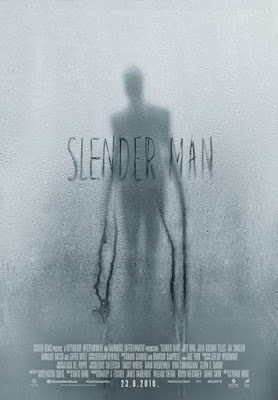 After a search of my streaming services, I was a bit shocked at the lack of material available from this horror master. 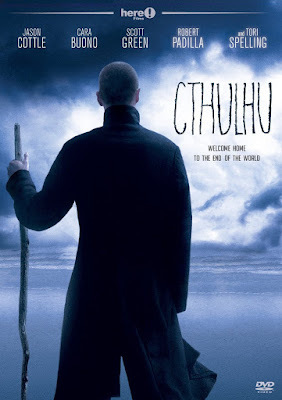 After some time, I settled on the 2007 indie entry Cthulhu. Plot/ A Seattle history professor, drawn back to his estranged family on the Oregon coast to execute his late mother's estate, is reacquainted with his best friend from childhood, with whom he has a long-awaited tryst. Caught in an accelerating series of events, he discovers aspects of his father's New Age cult which take on a dangerous and apocalyptic significance. I have really enjoyed getting back into the blogging scene and have found a new enjoyment with watching different facets of the horror genre. Unfortunately, I am not all the way back as many things seem to be the same stuff just repackaged and I am not there yet. One thing that was different was this 1980 entry Nightmare City. 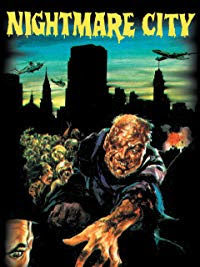 Plot/ An airplane exposed to radiation lands, and blood drinking zombies emerge armed with knives, guns and teeth! They go on a rampage slicing, dicing, and biting their way across the Italian countryside. I know, I know, I haven’t done one of these in what seems like forever (which is true). But, now, after having my batteries recharged, it is time to get back into the swing of things and start coming back into the blogosphere. Fortunately, I haven’t totally ignored my love of horror and Sci-Fi cinema over this absence, and now I have an extremely wide variety of films to choose from as I bring The Ringmaster’s Realm back to life. 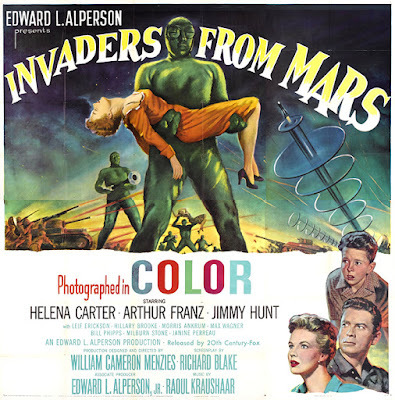 First up is a classic Sci-Fi tale, the 1953 entry Invaders from Mars. Plot/ A young boy learns that space aliens are taking over the minds of earthlings.